Despite being well known for food shortages, poverty and isolation, there are a growing number of luxury class hotels in North Korea – and not only in ‘affluent’ Pyongyang. Built with facilities that even the most discerning of travelers would find appealing, these luxury hotels stand in sharp contrast to the grey and dilapidated buildings that most North Koreans call home. Containing spa facilities, fitness centers, and banquet rooms, it’s hard to understand what role these luxury hotels play in North Korea’s supposedly egalitarian and socialist system. For example, a $1,500 one night stay in the VIP room of the Hyangsan hotel would cost nearly 85% of the average annual income of a North Korean. Who then stays at these hotels, and why were they built? As with many issues in North Korea, things are not always that clear. Despite the high prices quoted in the receptions of some of these hotels, North Korea employs a two-tier pricing system that actually makes staying cost effective – or even free – for certain well-placed locals. 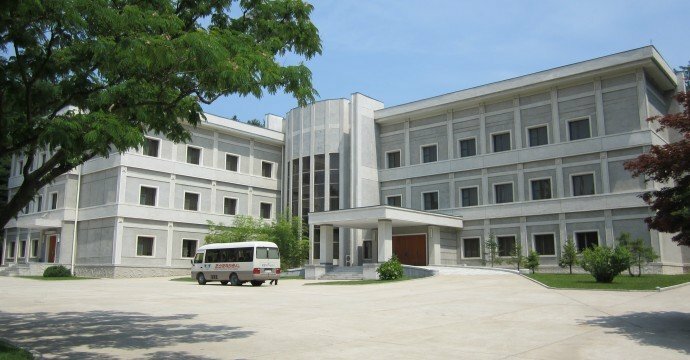 Domestic sports teams and musical groups performing at local venues form a large proportion of the heavily subsidized overnight stays in North Korea’s luxury hotels, and it’s almost certain that high ranking government and military officials also enjoy perks there from time to time. But that doesn’t mean the hotels are used that often: the few tourists who do stay in North Korea’s luxury hotels routinely report that despite being fully staffed, the buildings are often completely unoccupied. 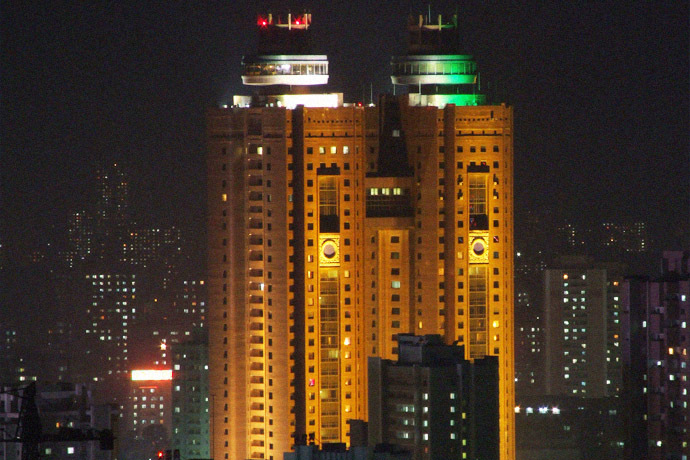 Completed July 28, 2009, the Majon Hotel is one of the most recent additions to North Korea’s luxury hotel industry. 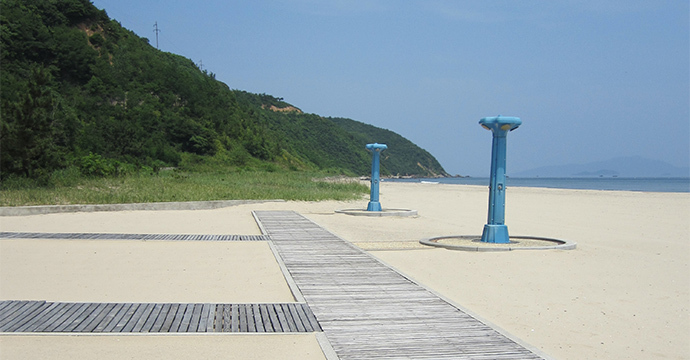 Located on the outskirts of Hamhung City, the Majon area has a 6 km beachfront that is popular with locals and tourists alike. Kim Jong Il was a keen admirer of the area and reportedly had one of his favorite vacations homes located there. The 108-room Majon Hotel boasts an indoor pool, state of the art spa facilities, private dining rooms and a huge banquet hall complete with a huge glass mural of the Korean countryside. 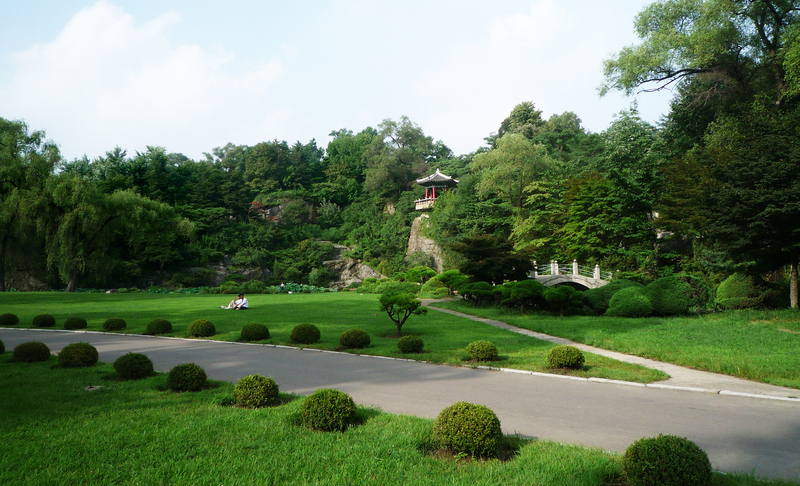 “I stayed there in September and it was really quite fancy,” said Hannah Barraclough, cultural attaché at Koryo Tours. Guests can keep themselves busy with the many leisure facilities on offer such as an indoor bowling alley, a tennis court, a beach volleyball court as well as having access to the private bay in which the hotel lies. 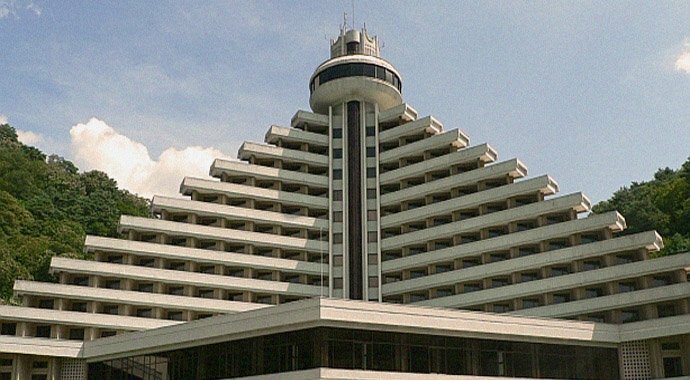 Simon Cockerell of Koryo tours said that the hotel the most luxurious he has stayed in while visiting North Korea, however he also recalled that during one stay the air-conditioning and satellite TV’s failed to work and the internet was only operational in the lobby. 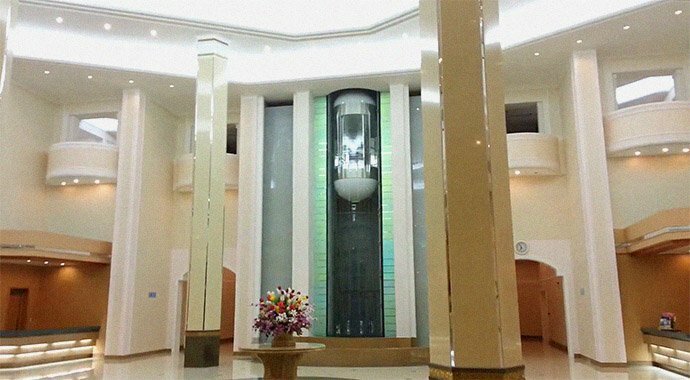 The opening of the hotel was covered in full by the state-run Korea Central News Agency, who documented the ceremony and provided a video tour of the interior and many of the facilities on offer. 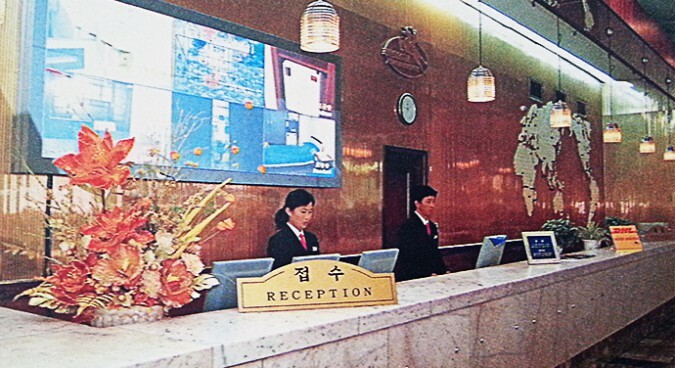 The video said the construction of the hotel was product of General Secretary Kim Jong Il’s love for the people and that the opening the hotel was a significant moment for the North Korean hotel industry as all of the building materials used in its construction, as well as all the furniture in the hotel, were domestically produced. In a speech at the opening ceremony Secretary of the Workers’ Party of Korea, Kim Ki Nam, called for the hotels staff to, “steadily improve the service so that Kim Jong Il’s boundless love may reach people as quickly as possible”. 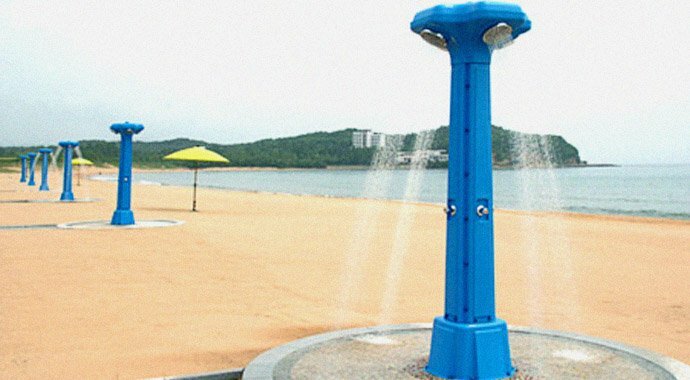 A television report from August 2013 by the North’s state-run Korean Central News Agency network (KCNA) claimed that Majon had 30,000 daily visitors from across the country and boasts over 70,000 beach goers in the holiday seasons. Although a generous estimate, the news footage clearly showed local numbers in their thousands. 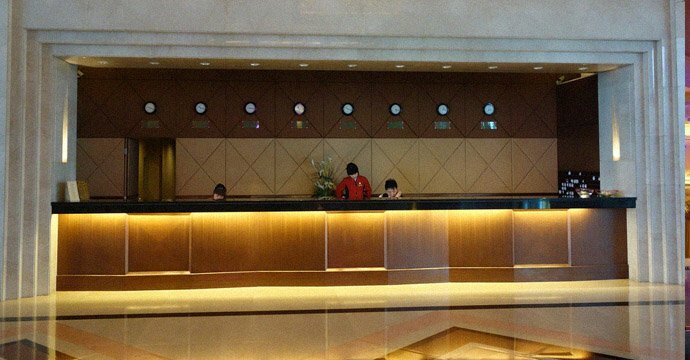 It has since been reported in pro-North Korea newspaper the Chosin Sinbo that the hotels personalized management style is now the standard template for all luxury hotels in North Korea. 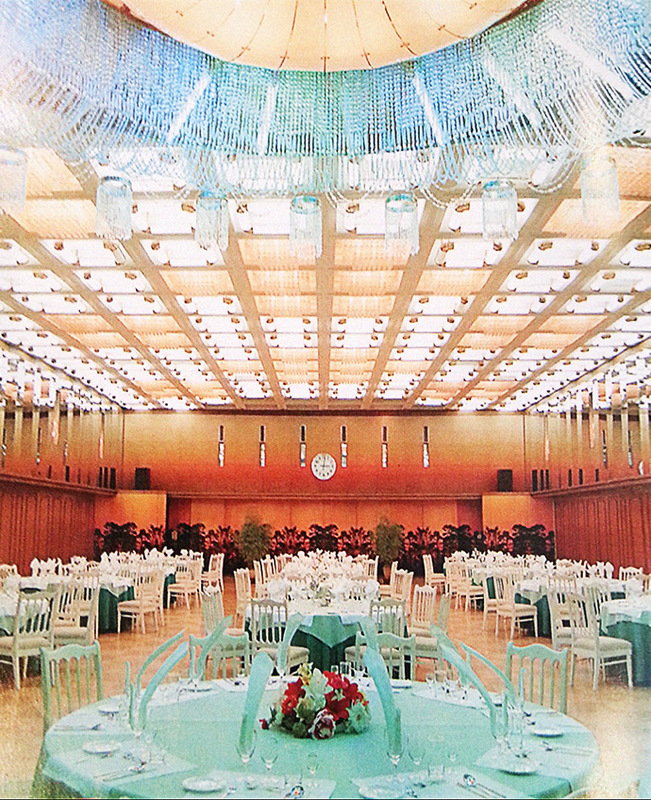 The Hyangsan Hotel is said to be the most luxurious in North Korea. Located 150 km north of the capital Pyongyang at the foot of the Myohyang Mountain, the 15- floor Hyangsan was originally built in 1986 and was recently refurbished in 2010. The upgrades were extensive with the banquet hall, rooms and restaurants all being upgraded, as well as the addition of a 25-meter swimming pool, spa facilities and a fitness center. 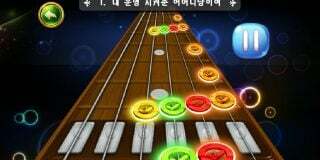 The entertainment facilities also include an underground nightclub and karaoke bar. 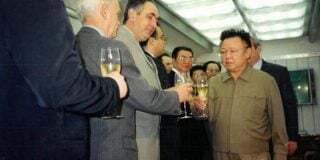 The hotels refurbishments were completed by the North Korean military in just under 4 months, an achievement Kim Jong Il praised at the re-opening ceremony of the Hyangsan, saying, “(it) is almost the same as building a whole new hotel”. 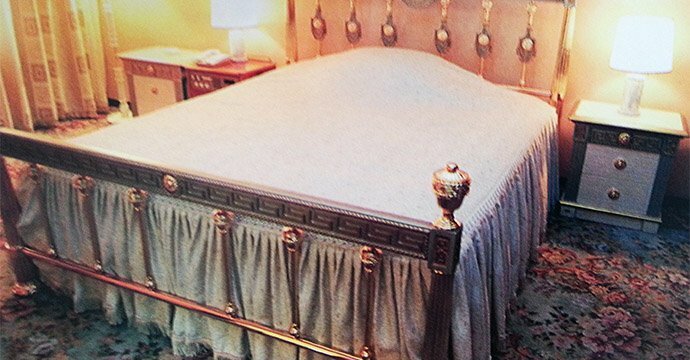 The prices of the rooms were raised substantially after the refurbishment, with second-class room prices have been raised from an estimated $200 to $360 per night. The first class rooms and VIP rooms respectively were reported $450 and $1,500 a night, just $300 short of the average yearly income of a North Korean citizen. The rooms are complete with en-suite bathrooms that are stocked with Shangri-la brand toiletries. Some of the hotel’s features suggest the hotel is built with foreign patrons in mind, considering rooms come equipped with access to both U.S. television networks and the internet. The Myohyang Mountain, listed as a world biosphere reserve by UNESCO, also gives visitors the opportunity to take in some of North Korea’s beautiful scenery. Called “the mountain of curiosity, beauty and sweet smell’, Mt. 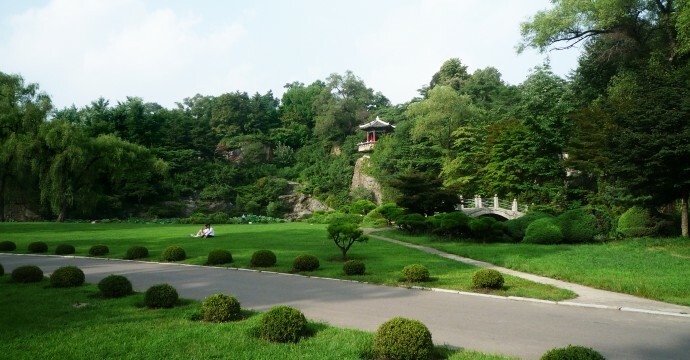 Myohyang has over 20 Buddhist temples on its slopes including the Pohyon temple, built in the 11th century. The famed international Friendship Museum, also located nearby, is the main attraction. The museum permanently displays over 100,000 gifts given to Kim Il Sung and Kim Jong Il by foreign diplomats and officials, including a basketball given to Kim Jong Il in 2000 by then U.S. Secretary of State Madeleine Albright. 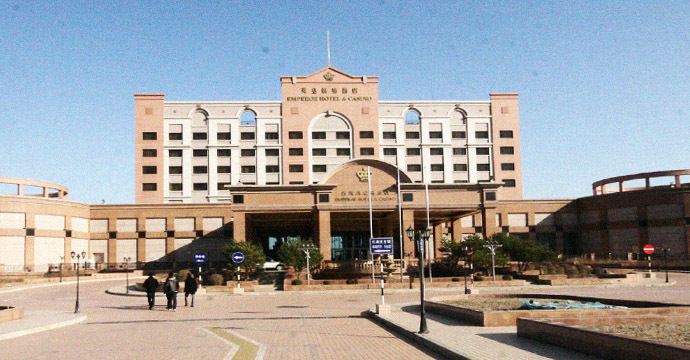 The Emperor Hotel and Casino is by far the stand out attraction in the special economic zone of Rason. The 120,000 square meter building overlooks the Changjin Bay and reportedly cost $64 million to construct. The Emperor Group, a Hong Kong based company, completed the seaside hotel in 2000. It was one of the first foreign owned businesses to successfully operate in North Korea and is said to employ 500 North Koreans. The hotel boasts an indoor swimming pool, sauna, sports center, over 150 rooms and suites and the country’s only “5-star bathroom”. It is the casino however, that often entices visitors to stay in the Emperor Hotel. 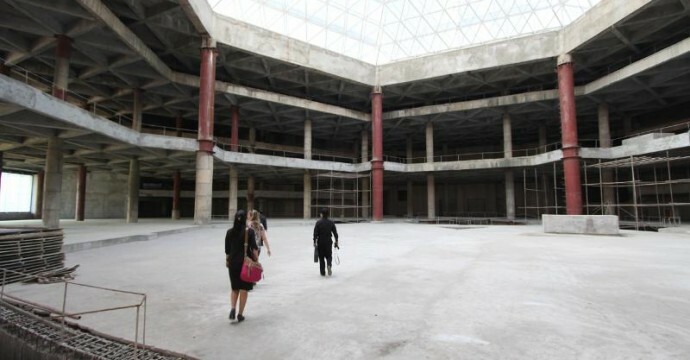 The casino, which was closed periodically following the death of Kim Jong Il in 2011, offers visitors the chance to gamble for a minimum of $500 and is favorite stopping point for Chinese tourists. Rumors of North Korean party elites and Chinese officials gambling huge sums of money away have been present since the casino’s opening. One Chinese official lost reportedly $423,000 worth of local government money, which led to the temporary closure of the casino in 2005 due to pressure from Beijing. The interior is decadent and elaborate but guest numbers have waned in the past few years and if anything, the hotel symbolizes North Korea’s awkward forays into free market activities. The Pyongyang Koryo is North Korea’s flagship hotel and is one of the most regularly used hotel in North Korea. The 140m high twin towers were built in 1985 and cover an area of 84,000 square meters. 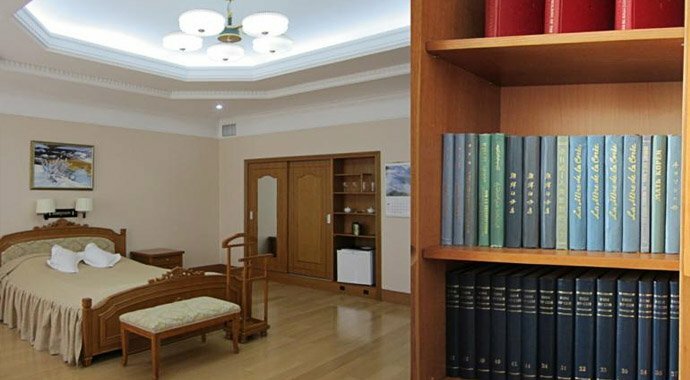 The hotel boasts over 500 rooms in various classes of accommodation, but it is their super suite class rooms that warrant the Pyongyang Koryo a place on this list. At the top of the unmistakable orange building in central Pyongyang lies a revolving restaurant that allows a birds eye view of the capital city. Featuring five restaurants in total, a beer hall, tea room, and several bars, there is plenty of choice for food and refreshments, including a Japanese style restaurant, a curious inclusion given the historical animosity between North Korea and Japan. 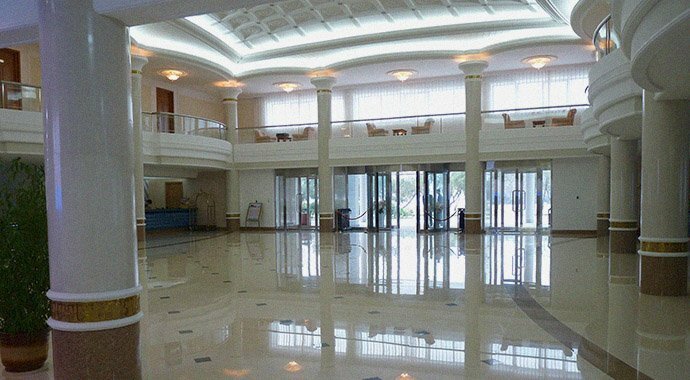 The hotels entertainment facilities are the most extensive in North Korea, including a cinema, a pool, sauna, fitness room, table tennis room, billiard room, as well as a karaoke hall and two separate amusement halls. Screen golf has been added to this list recently. Travel review company Lonely Planet lists the Koryo as one of the recommended hotels in North Korea and it has been a regular fixture among UN staff and business professionals on official visits for years. The hotel also has a barbershop, a tailor, a shoe mender, a beauty salon and a massage room to ensure guests are pampered at all times. With regular visitors and favorable online reviews, the Pyongyang Koryo has become one of the more trusted and consistent luxury hotel experiences North Korea offers. 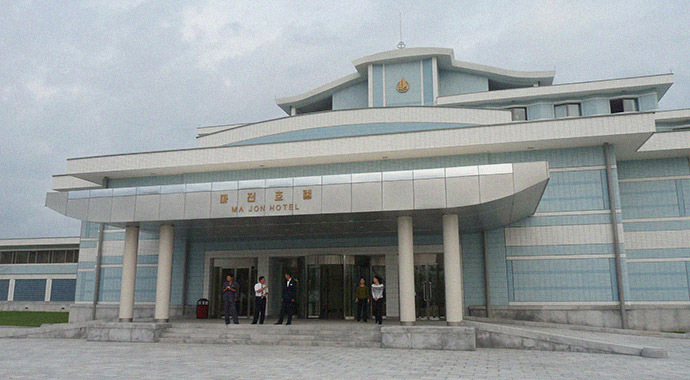 Located in the East Coast town of Wonsan, the Kalma Hotel is the most recent – partial – addition to North Korea’s luxury hotel industry: while including facilities designed for less affluent customers, the Kalma makes a point of featuring its deluxe and first class rooms in both wings of the site. The hotel’s deluxe suites include their own private mini saunas, while the first class rooms are fitted with private jacuzzis. 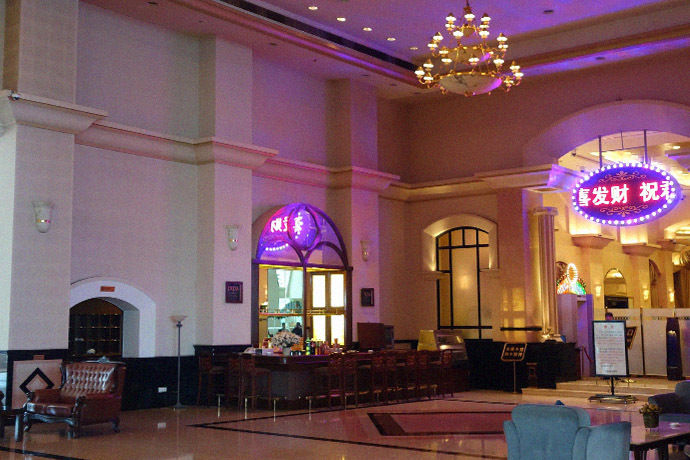 The hotel includes three restaurants, a banquet hall, a small bar and a karaoke room. Situated on the Kalma peninsula, the hotel is built on the edge of a sprawling beachfront that visitors can access for a small fee, where they can play on a volleyball court, paddle in inflatable rafts or relax on the beach. 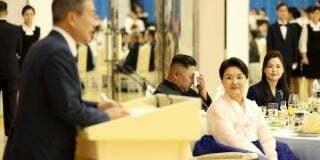 The Kalma is located close to Wonsan Airport, which was set to go under a $200 million renovation but was recently put on hold due to “political instability”. The Masik Pass Skiing Ground, currently under construction, is also only 30 minutes away from the site of the Kalma hotel. One of the more tasteful examples of accommodation in North Korea is the Moranbong Hotel. Unlike the larger, more elaborate hotels the Moranbong has only 12 rooms and is North Korea’s only boutique hotel. Built in 2002 the hotel is hidden, situated within a park next inside the capital city. Due to its size the hotel boasts a higher level of service than that offered elsewhere in North Korea. The Moranbong also has the country’s only ‘AL-fresco’ restaurant. Each room is fitted with a DVD player and guests can use the swimming pool and sauna to relax in this quieter setting. The hotel also has a fitness center and a karaoke room, which is built into a cave. Perhaps the most famous and internationally recognized hotel in North Korea is the Ryugyong Hotel, a 25-year long construction project that has yet to be finished. 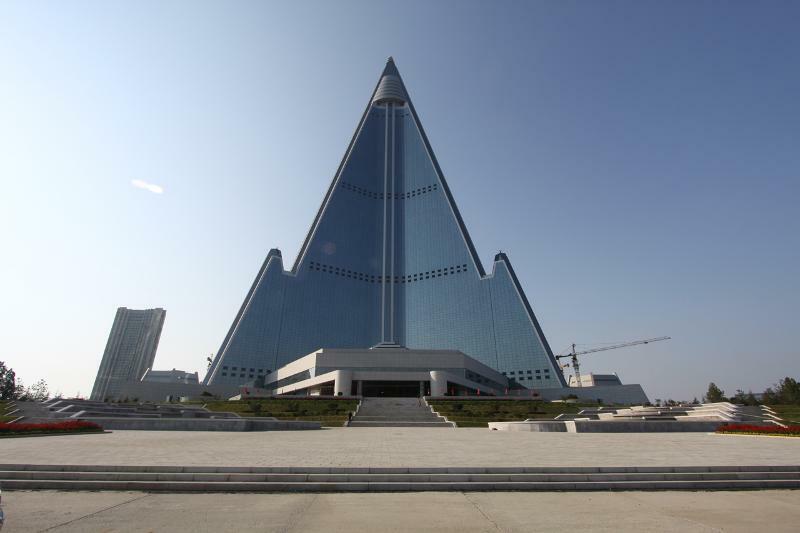 The building of the Ryugyong began in 1987 but was halted for almost two decades due to a lack of funding during North Korea’s economic crisis after the fall of the Soviet Union. 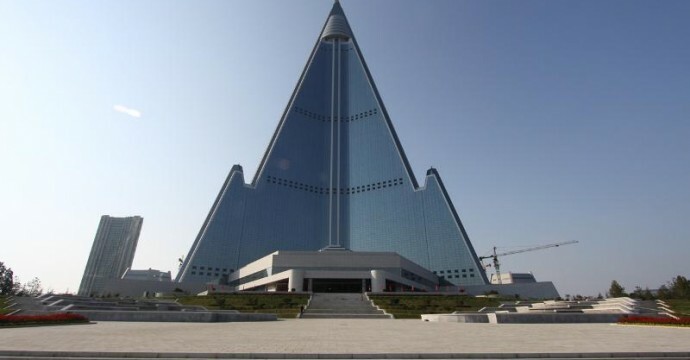 Also known as the “Hotel of Doom”, the Ryugyong is a 105-floor, 3,000 room skyscraper in the shape of a looming pyramid situated in the capital, Pyongyang. Work on the hotel restarted in 2008 after the Egyptian conglomerate, Orascom Group made a $400 million investment. “As I understand there’s some work ongoing but there isn’t money flowing into the project”, said Simon Cockerell who was allowed to visit the Ryugyong in September of 2012. The hotel was built to boast five revolving restaurants, as well as a casino, but there seems to be no sign of their completion. Pictures taken by Koryo Tours in 2012 showed no signs of plumbing or electrical work let alone the construction of rooms. Cockerell has since had his requests for another tour denied, and apart from the claims of one journalist from the South China Morning Post, nobody has been able to view the inside of the hotel this year. 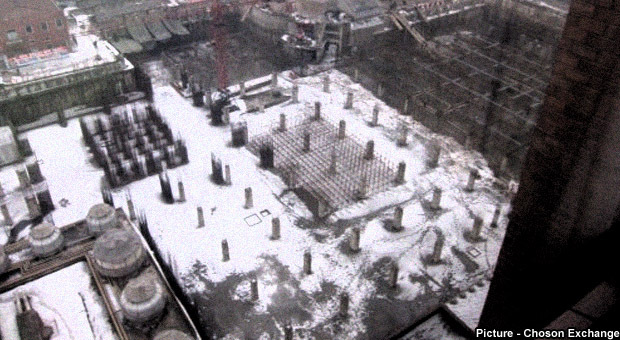 The Yonggwang Hotel is but a construction site at this present moment but promises to become North Korea’s first “7 Star” hotel on completion. The project is a joint venture between Chinese investors and North Korea and is being built next to the Pyongyang Koryo Hotel. The word Yonggwang means “Glory”. The hotel will be between 45 and 75 floors high and have a casino built into it. 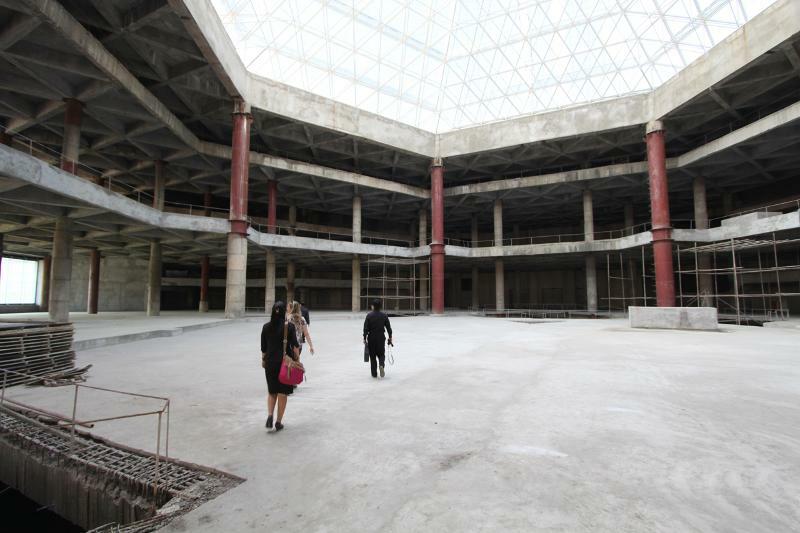 Regular visitors to Pyongyang say construction appears to have halted. Subscribe to read the remaining 2223 words of this article.